Any account of Indian playback music must start and end with Lata Mangeshkar. Born September 28, 1929 in Indore, Lata Mangeshkar has been active in all walks of Indian popular and light classical music having sung film songs, ghazals, bhajans and pop. She is the supreme voice of popular Indian music, an Indian Institution. Until the 1991 edition, when her entry disappeared, the Guinness Book of Records listed her as the most recorded artist in the world with not less than 30,000 solo, duet and chorus-backed songs recorded in 20 Indian languages between 1948 and 1987. Today the number might have reached 40,000!!! Dinanath Mangeshkar, her father, owned a theatrical company and was a reputed classical singer. He gave her singing lessons from around the age of five. She also later studied with Aman Ali Khan Sahib from about 1945 to 1947 till he left for Pakistan and later on with Amanat Ali till the latter’s death in 1951. Her God-given musical gifts meant that she could master the vocal exercises effortlessly on first pass and from early on she was recognized as being highly gifted musically. However when her father died in 1942, the onus of being the breadwinner of the family fell on Lata. Between 1942 and 1948, thanks to Master Vinayak who stepped in to help the family out, she acted in as many as 8 films in Hindi and Marathi to take care of the family’s economic problems. She also made her debut as a playback singer in the Marathi film Kiti Hasal (1942) but the song was edited out! It is commonly thought that the first Hindi film in which Lata gave playback was Aap Ki Sewa Main (1947) where her singing went unnoticed. But it is also said that she did sing a couple of songs in Master Vinayak’s Bari Ma (1945), where she acted in a small role alongside then reigning diva, singing star Noor Jehan. When Lata entered the Film Industry, heavier Punjabi voices like Noor Jehan, Shamshad Begum and Zohrabai Ambalewali ruled the Industry. 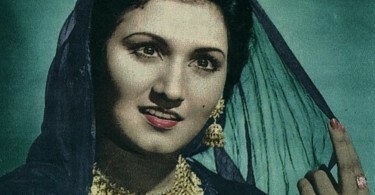 Ironically Lata was even rejected for Shaheed (1948) by producer S Mukerji, who complained that her voice was too thin! However Ghulam Haider, unable to use her in Shaheed and who warned Mukerji that one day the world would fall at the feet of this thin-voiced girl, gave Lata her breakthrough song with Dil Mera Toda from Majboor (1948). Haider also recommended her to fellow music director Vinod who gave her a chance to sing in the Meena Shorey-Karan Dewan-Kuldip Kaur Punjabi film Chaman (1948), directed by Roop K Shorey. Lata’s songs like Galiyan Che Firdey Dhola Nikke Nikke Baal Wey and Chan Kithe Guzare-e-Raat Wey were highly appreciated. That year she also had her first hit song Chanda Re Ja from the Dev Anand – Kamini Kaushal starrer Ziddi (1948) under the baton of Music director Khemchand Prakash. Another important film for her that year was Anokha Pyar where she sang for Anil Biswas. It was Anilda who taught Lata and other singers the techniques of breath control while singing and putting emphasis on syllables that came on the beat of the song. By 1950 the Lata wave had changed the face of music in the Hindi film Industry. Her high-pitched singing rendered obsolete the heavy basy nasal voices of the day. Only Geeta Dutt and to a certain extent Shamshad Begum survived the Lata onslaught. Her younger sister, Asha Bhosle, too broke thorugh in the late 1950s and from then on, the two sisters were the undisputed queens of Indian playback singing right through to the 1990s. Lata’s initial style of singing was reminiscent of Noor Jehan but she soon got over that to evolve her own distinguished style. A slight remark by Dilip Kumar on her Maharashtrian accent, saw her perfect her Urdu by hiring a tutor! Needless to say, her Urdu today is absolutely flawless. And not just Urdu. Listeners in every language that Lata has sung be it Bengali or Tamil vouch for her perfect diction and pronounciation. Though Lata sang under the baton of all the top composers like Naushad, SD Burman, Salil Choudhury, Hemant Kumar, Roshan, Jaidev, Husnlal – Bhagatram, Shanker-Jaikishen, Ravi, Vasant Desai, Hansraj Behl, Kalyanji Anandji, Laxmikant – Pyarelal, RD Burman barring OP Nayyar and with all the top playback artistes of the day, special mention must be made of her work for C Ramchandra who made her sound her sweetest and Madan Mohan who challenged her voice like no other music director. That is not to say the others did not compose brilliant songs for Lata. They did.Yet, there is something special and different about the Lata who sang for C Ramchandra in Samadhi (1950), Albela (1951), Sagi (1951), Anarkali (1953) and Yasmin (1955). One still recalls ditties like Gore Gore Banke Chhore, Dheere Se Aaja, Yeh Zindagi Usiki Hai and O Aasmanwale. It is said the two were involved and even co-produced a film together, Jhamela (1953), which however flopped at the box-office. But perhaps their best ever song, if one has to choose, would have to be the non-film patriotic Ae Mere Watan Ke Logon sung during the Indo-Chinese War of 1962. The song moved India’s Prime Minister, Jawaharlal Nehru, to tears. It is said that since the two had fallen out in 1957-8 and Lata had not sung for him since then, C Ramchandra had already rehearsed the song with Asha Bhosle but was only too glad to let Lata sing it when she made up with Ramchandra and agreed to sing the song. Even today, the song rouses patriotic feelings perhaps like no other song and one cannot help but be emotionally moved by Lata’s amazing rendering. With Madan Mohan, Lata sang some of the most complex of songs and some of the greatest ghazals composed for Hindi films. 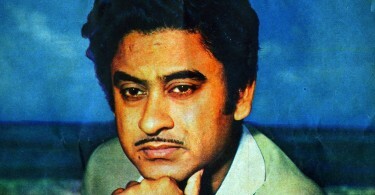 Special mention must be made of Qadar Jane Na (Bhai Bhai (1956)), Yun Hasraton ke Daag (Adalat (1958)), Woh Bhooli Dastan (Sanjog (1961)), Aapki Nazaron Ne Samjha (Anpadh (1962)), Jab Humne Sunayi Apni Dastan Aap Kyon Roye (Woh Kaun Thi (1964)), Nainon Mein Badra Chhaye (Mera Saaya (1966)) and Hum Hain Mata-e-Kooch-o-Bazaar ki Tarah (Dastak (1970)). The 1960s and 70s saw Lata go from strength to strength even as there were accusations of her monopolizing the field. Her phenomenal success made her the most powerful woman in the Film Industry. She opposed Mohammed Rafi in the 1960s and stopped singing with him for a while over the issue of royalty to playback artistes. She refused to sing for SD Burman in the period from 1957-60 and he along with OP Nayyar groomed Asha Bhosle in this period as his main singer only to return to Lata once their feud was over. Unhappy with the lyrics of Ang Se Ang Laga Balma, she refused to sing for Raj Kapoor’s Mera Naam Joker (1970) and after the film flopped, he had no choice but to go back to her to sing for Dimple Kapadia in Bobby (1973). 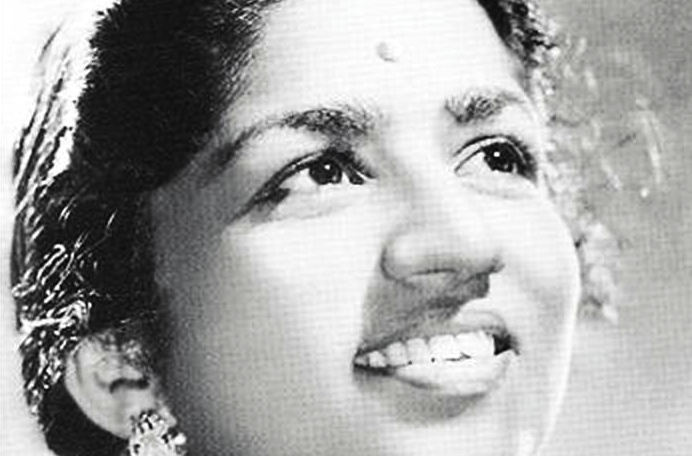 From the 1980s, Lata cut down on her workload to concentrate on her shows abroad. Lata Mangeshkar sings infrequently now but even till recently, the songs of some of the biggest hits of the 1990s like Hum Aapke Hain Koun..! (1994), Dilwale Dulhania Le Jaayenge (1995), Dil To Paagal Hai (1997) and Lagaan: Once Upon a Time in India (2001) are sung by her. From Nargis to Kajol she’s sung for them all. A Dadasaheb Phalke Award winner for her contribution to Indian Cinema, Lata is also the recepient of India’s highest civilian award, the Bharat Ratna. Besides these, she has also been bestowed with the Padma Bhushan (1969), Padma Vibhushan (1999), 3 National Film Awards, and 12 Bengal Film Journalists’ Association Awards. She has also won four Filmfare Best Female Playback Awards. In 1969, she made the unusual gesture of giving up the Filmfare Best Female Playback Award, in order to promote fresh talent. She was later awarded the Filmfare Lifetime Achievement Award in 1993. In 1984, the State Government of Madhya Pradesh instituted the Lata Mangeshkar Award in honor of Lata Mangeshkar. The State Government of Maharashtra also instituted a Lata Mangeshkar Award in 1992. Lata Mangeshkar has also produced films like Lekin (1990) and even composed music for the Marathi film Ram Ram Pahune (1950) under her own name. As ‘Anandghan’ she also composed music for some Marathi films like Mohityanchi Manjula (1963), Maratha Tituka Melvava (1964), Sadhi Manasa (1965) and Tambadi Mati (1969). She won the Maharashtra State Government’s Best Music Director and Best Playback Singer awards for the film Sadhi Manasa. Lata Mangeshkar is that rare artist who has realized her search for excellence. As Amitabh Bachchan once said, she is the only artist in the history of Indian cinema who did not see a downside once at the top.